That’s a Bike Lane Safety Light from Xfire used this morning by Martha Walsh on a Seattle-area commute. 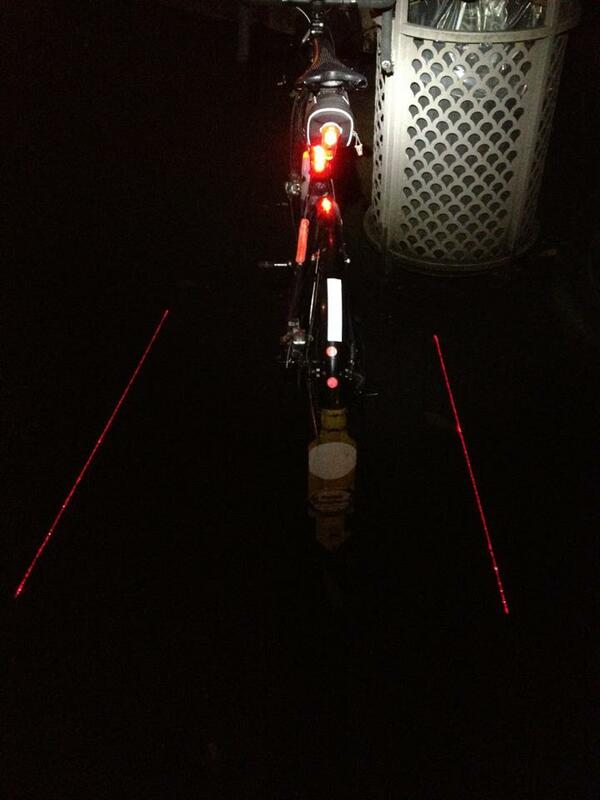 It features LEDs in the front and towards the back, two “lane” lasers. Making a visual lane isn’t about staying inside the lines, but cars knowing how wide or slim you are.